Posted in: Crime Prevention, Crime Stoppers, Media Release, Put A Name with This Face, Reward, WANTED. Tagged: Buchanan. Franklin Police want to identify this suspect. At around 7:00 Saturday morning, three cars were broken into at a Jordan Rd fitness center in Franklin. In all three cases, the suspect broke out car windows to steal purses and others valuables that owners left in plain view while working out inside. 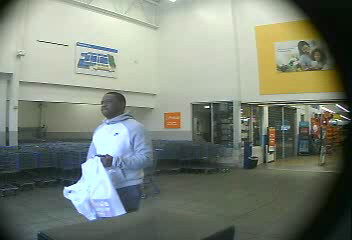 This thief quickly used credit cards that were stolen to charge more than $1,000 at the Mallory Lane Walmart. Information on the identity of this suspect is worth up to $1,000 with an anonymous call to Crime Stoppers: (615) 794-4000. Franklin Police warn gym patrons to be vigilant.